gty family praying mi 130322 wblog Is Religion Good for Your Health? Faith and medicine frequently intersect. My patients and I often talk about spirituality when we discuss medical issues. For many people, life-and-death decisions are grounded in a belief that a higher being will guide the outcome as much, or more than, the physicians and treatments involved. In addition, a support system based on shared faith can be extremely helpful in the healing process. Ministries frequently offer assistance programs and have relationships with social workers to counsel and provide services for those in need. Not long ago, while reading the newspaper, I began thinking about the relationship of health and religion in an entirely new way, one that involves using religious tenets to promote a healthful lifestyle every day, not just in times of crisis. I saw an obituary for Lester Breslow, a true pioneer in public health. It was fitting that a man who dedicated his life to understanding what drives longevity lived to the ripe old age of ninety-seven. There are many important lessons to be learned from his extensive body of research. Breslow, a public health leader for over seventy years, was instrumental in first connecting smoking to lung diseases, particularly cancer. But that's not all. He demonstrated an association between longevity and health quality through a set of seven behaviors (known as the Alameda 7, for the California county in which they were identified): Not smoking; sleeping seven to eight hours per night; eating regular meals; maintaining a moderate weight; eating breakfast; drinking in moderation; and exercising at least moderately. What really caught my eye was that Dr. Breslow was still at work well into his nineties. In 2010, Breslow, then ninety-five, was a coauthor of a twenty-five-year study of a group of California Mormons. This study, written with Professor James E. Enstrom of the University of California, Los Angeles, showed that the life expectancy of Mormon men was almost ten years longer than that of the general population of white American males. Female Mormons lived between five and six years longer than their general population counterparts. The longevity effect was most pronounced for those who never smoked, went to church weekly, had at least twelve years of education, and were married. Additional benefits were seen in those who were not overweight, got plenty of sleep, and exercised. The authors attributed the added years to the Mormons' healthy doctrines: Eating a well-balanced diet and eschewing tobacco, alcohol, coffee, tea, and illegal drugs. They found similar benefits among Americans of any religion who practiced the same healthy behaviors. There has long been a correlation between being a churchgoer and longevity, but it has been difficult to tease out the basis of that relationship. The link to better health was partially attributed to self-selection. Religious people were the type of people who would practice behaviors favorable to more healthful living and thus live longer. 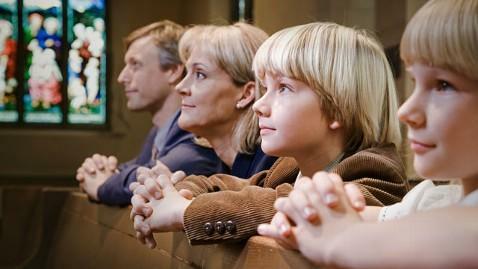 Studies found that churchgoers were less likely to engage in high-risk health behaviors such as smoking and excessive drinking. After all, getting up bright and early for church Sunday mornings does hamper Saturday night binging. Being able to travel to church might also be a marker for mobility and healthfulness, rather than its cause. There are also many beneficial spiritual aspects to consider. The meditative nature of religious services can lower stress levels. Many services preach love, forgiveness, hope, and optimism, which foster a positive outlook on life that can translate into good emotional health. Many sermons address the importance of giving thanks, and we know that gratitude can be very important for mental health. In addition to religious leaders providing counseling, some religions incorporate confession, which can help unburden congregants from emotional distress. These are all things that might be good for your health. Now, I'm not a religious person and I've yet to see any convincing studies that compare the belief systems of various religions and their impact on health. However, I know from experience that for some people the belief in a higher power is incredibly important in helping them cope with a serious illness. It is what gets them through tough times. For others, it is the sense of community, the group aspect of organized religion that has a big impact on their health. Alternatively, I see atheists who get great support through other means, including their understanding of the natural workings of the world. And clearly you don't need to be religious to practice the healthful principles laid out by many of the world's religions. Those should apply to everyone. Practicing the health tenets espoused by many religions are associated with a longer life. And you know what? You don't need to be religious or believe in God to follow them! Find a loving relationship and stick with it. Support those around you in their times of need. Give thanks for what you have. There are many benefits of being grateful. It has been shown to strengthen social bonds and makes people more likely to want to help us again. There is also promising evidence linking practicing gratitude to better sleep, fewer symptoms of illness, and less stress. Stay in school. Education is good for your health. Treat your body like a temple. Eat right, get regular exercise, get a good night's sleep, don't smoke, and if you drink, do so in moderation. Excerpted from Dr. Besser's new book, "Tell Me the Truth, Doctor," which hits stores April 23. Pre-order the book at Barnes & Noble, Amazon or your local independent bookseller. health blog besser book bnr Is Religion Good for Your Health?